About Idaho Airships, Inc. | Idaho Airships, Inc. 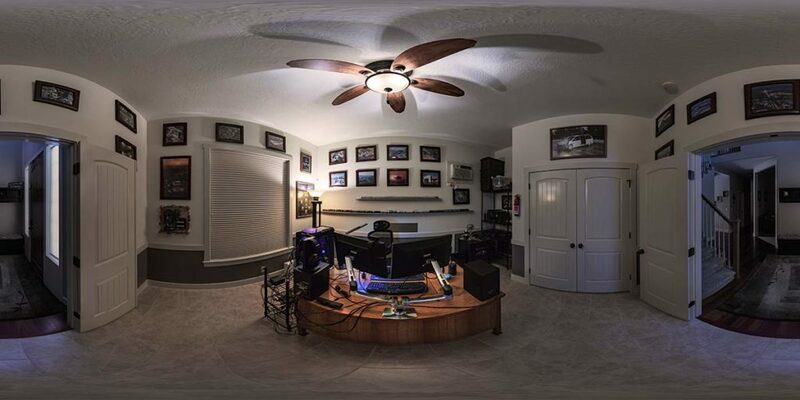 The Idaho Airships, Inc. Office (Panorama). 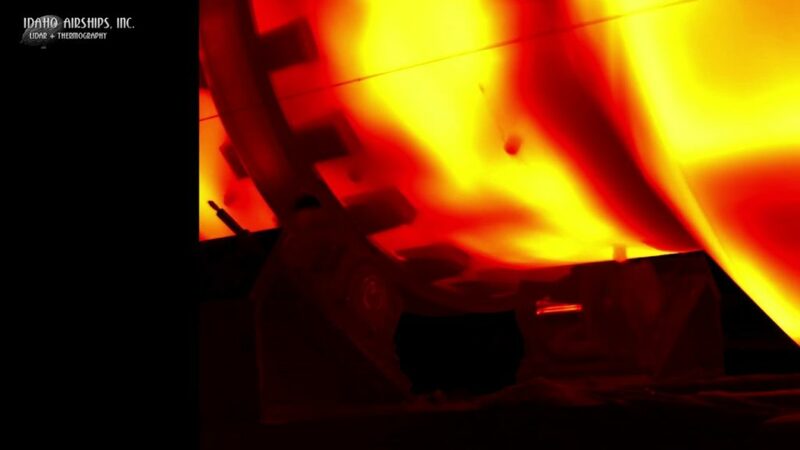 Idaho Airships, Inc. is a forensic and technical imaging company. Our customers and subjects have included Walt Disney World®, The NFL® Super Bowl®, various NCAA® Bowl Games, the PGA®, Sea World®, Major League Baseball®, The Olympics®, Turner Broadcasting®, ESPN®, NFL Films®, ABC’s Wide World of Sports®, and some of the most notable production companies, casinos, theme parks, resorts and residences in the nation. Perhaps our most interesting work; aerial night video of Shamu’s performance at Sea World in San Diego, CA. 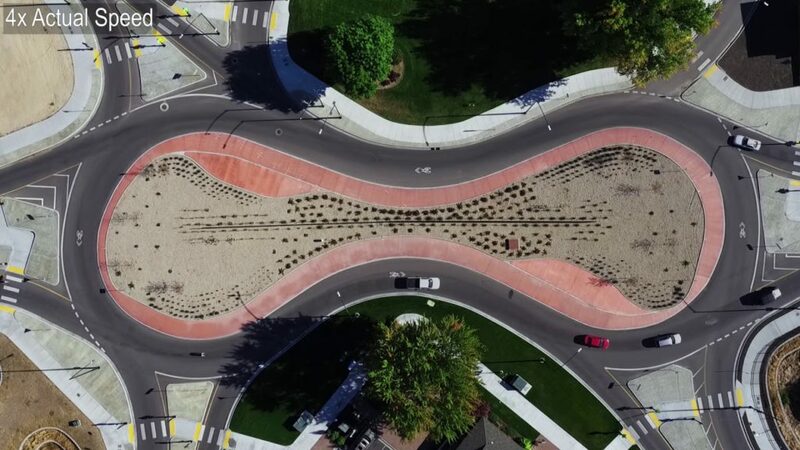 In 3/11 Leo A. Geis was inducted as the 29th Master Aerial Photographer in the world (by PAPA; the Professional Aerial Photographers Association, International). Leo is an Adobe Certified Expert in Photoshop, Premiere Pro, and Flash Pro, an Adobe Certified Expert Web Specialist and an Adobe Certified Expert Video Specialist, a Certified Aerial Photographer (by the Professional Aerial Photographers Association, International), Trained and Certified in LiDAR theory and data interpretation, and an ITC-Certified Level III Thermographer.1 He is the only Master Aerial Photographer in the world who is also an Adobe Certified Expert in either Photoshop or Premiere, and is the only Master Aerial Photographer in the world who is also a Certified Thermographer. Leo A. Geis is OSHA-30 Certified in General Industry. In early 2008 Idaho Airships, Inc. was identified as a significant element of the technological infrastructure in Idaho by Idaho TechConnect and the Idaho Department of Commerce.3 In August, 2009 this blog was selected by our Fox affiliate KTRV as one of the Treasure Valley’s best, and in September, 2009 we were featured as a success story on Adobe’s website outlining our customer service capabilities. In 2010 Leo served as sole judge at the PAPA Iron Photoshop competition in Tampa, FL. Leo A. Geis has been honored to serve as Moderator of Adobe’s online Community Help for Photoshop®, Premiere Pro®, and Flash Professional®, on Adobe’s Creative Suite Prerelease Team, on the Professional Advisory Committee for Stevens-Henager College, and as a faculty member of Law Seminars International. Idaho Airships, Inc. has performed digital work ranging from the scanning of archival 4×5’s of the original Lewis & Clark Expedition Journal to restoring images of Abraham Lincoln’s inauguration, Marilyn Monroe, Queen Elizabeth II, and an aerial photograph of the attack on Pearl Harbor imaged by a Japanese Squadron Leader. In May, 2015 Idaho Airships, Inc. received the Veterans of Foreign Wars Meritorious Service Award. 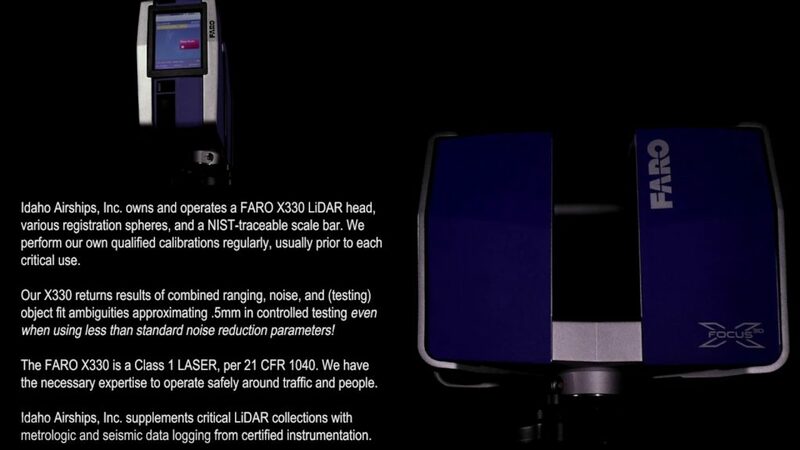 Idaho Airships, Inc.’s FARO X330 LiDAR Equipment. 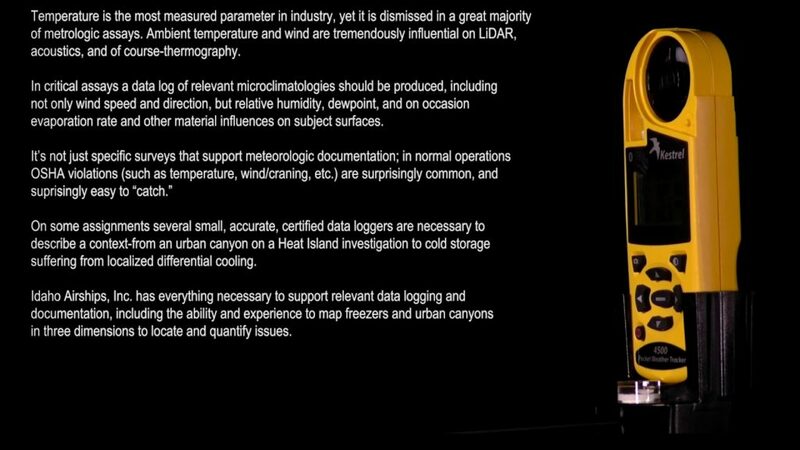 Weather/Microclimatology Datalogging for LiDAR, Thermography, and Acoustics. Forensic Drone (sUAS) Traffic Monitoring and Analysis. 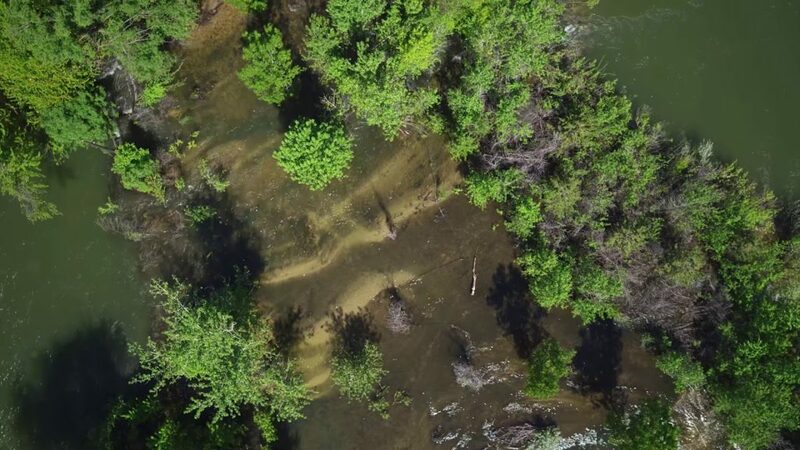 Forensic Drone (sUAS) Video of River Flood Breaching Levee.